Starting a new year off on a positive note can set the tone for the entire year. That’s why it’s important to plan it out in a way that will give you the most control over how your next chapter (and future) pans out. To help you succeed in your resolution goals, we’ve gathered our top tips for starting the New Year off on the right foot. Check them out below! One of the most powerful ways to incite change and keep on track with your goals is by writing them down. Writing out your goals and then breaking them down into smaller, actionable steps for each month, week, or day can help you achieve them faster. Don’t forget to keep your list somewhere you can see it daily — this will help you propel forward and stay razor focused. Another great tip for starting the New Year off on the right foot is by getting your home as clutter-free as possible. The condition of your home plays a fundamental role in your emotional well-being. Start early by organizing, donating, and tossing out any excess items to get rid of negative energy, clear out any stale air, and invite more positive change into your life. Taking on a new habit or routine isn’t going to happen overnight, but you can simplify the process of change by focusing on one new habit at a time. Small, steady steps are how to stay on course and embrace a new habit permanently. After the holiday season, we all know what it’s like to feel the aftermath of anxiety once you take a peek at your bank account. But instead of wallowing in stress, draft up a reasonable budget so you can pay off those debts fast. A little discipline and strategic planning can work wonders for repairing the damage to your finances quickly. When you fall off a resolution, don’t use that as an excuse to dive headfirst back into your old habits or cycles. Instead, recognize that you’re human and mistakes will happen, then hop right back up and focus on carrying on with the new, positive habits you’ve been working towards. The sooner you realize this, the easier it will become to stay the course. 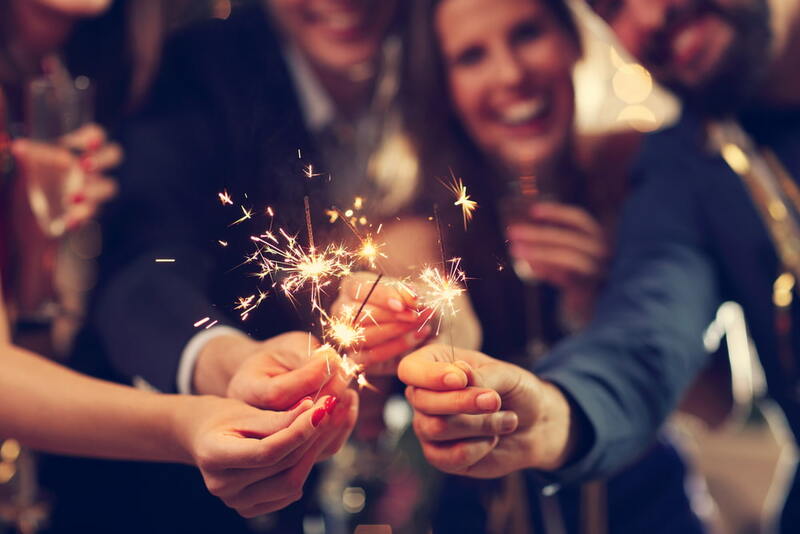 From all of us at CLV Group, here’s to an exciting and fulfilling 2019!